Cycene CY-RH20D-30 - Delayed power Auto Shut Off. Specifications: body design: seamless stainless steel, brush finish power rating: 120v / 60hz usa & canada standard general input Power: 262W 256W + 2x 3W Motor Input Power: 256W 2x 128W Ampere: 3A Levels of Speed Control: 3 Levels Maximun Airflow: 460CFM Noise Level Q/L/H: 1. 0sone40db / 2. 8sone55db / 4. 0sone60db number of motors: dual motor motor type: single chamber ultra quiet fan type: centrifugal squirrel cage control type: touch sensitive electronic control panel filtration type: stainless steel baffle filter illumination: 3W 12V, Type LED Venting Size: Top: 6" round or 9-7/8" x 3-1/8" rectangular; Rear: 9-7/8" x 3-1/8" rectangular Interference Protection: Radio Frequency Interference Protected Warranty: Limited 3 Years Parts Warranty Dual squirrel cage ultra quiet blower w/ 6" round top or 9-7/8" x 3-1/8" rectangular Top & Rear Vent Exhaust @ 460CFM Max, Fits 12" Cabinet. Cycene 30 Inch Under Cabinet Stainless Steel Range Hood w/ Baffle Filter @ 460CFM - CY-RH20D-30 - Three-speed touch sensitive Electronic LCD Control Panel with Digital Clock. 12v low voltage 3 watt ultra bright LED Lights & Commercial Grade Stainless Steel Baffle Filters. Broan SP3004 - 24-inch high stainless steel backsplash installs easily with four screws. Installs easily with four screws. Provides easy clean-up of cooking splatter as it protects the wall behind the cooking surface. Material thickness is only. 019 -. 023 so it lies nearly flush against the wall. 24 gauge Stainless Steel. Help keep your kitchen looking like new, with a Broan splash plate in the perfect match to your appliances. Provides easy clean up of cooking splatter with durable finish. 24-inch high by 30-Inch wide. Attractive appliance matching color. Mounting screws are not included; four #8 screws needed for installation of backsplash. Winslyn Industries - Compatible winflo W103xxx series wall mount range hood models. This retractable, adjustable 2 piece-built chimney extension kit will allow Winflo WR103xxx series wall mount range hood to mount on 9ft. The extension kit includes an upper and lower chimney that replaces the original chimney set and is adjustable/retractable according to your needs. Dimension: 8. 38" l x 7. 32" d x 32. 67"-62. 2" h; design for winflo wall mount range hoods, cannot guarantee compatible with range hoods from other brands. Constructed with premium 430 brushed stainless steel. Ceiling. The matching premium stainless steel surface complements your kitchen design. To 11 ft. To 11 ft. Ceiling. 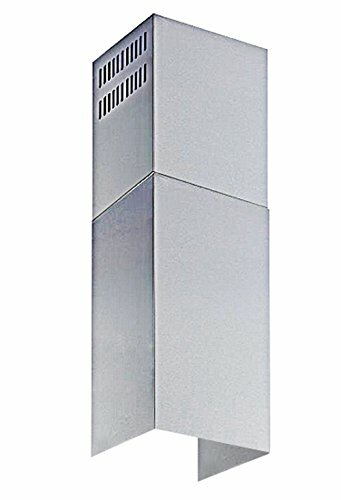 Winflo Stainless Steel Chimney Extension up to 11ft. 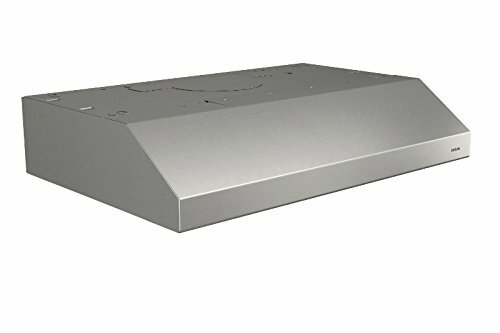 Ceiling for Winflo Convertible Wall Mount Range Hood upper and lower piece set - Retractable, adjustable, can fit 9 ft. Mounting bracket and hardware are included for easy installation. Winslyn Industries LLC - This unit can also be converted to a ductless option with carbon filters sold separately part # WRHF003S2. Adjustable chimney can fit 7. 5-8. 5 ft ceiling. This model also comes with 2 ultra bright energy saver LED lights, 400 CFM air flow, low noise level operation, push button, 3-level fan speed. Complete with aluminum mesh filters that remove smoke and grease from your cooking area and are dishwasher safe. Range hood size: 30" Dimension: 29. 5" x 19. 21" x 37. 22" adjustable telescopic chimney fits 7. 5 to 8. 5 ft. 2 easy removable, dishwasher safe aluminum mesh filter. Ceilings duct size: 6" on the top airflow: 400 cfm level of speed: 3 control type: touch control panel noise level: less than 65db at high fan speed quiet operation lighting: energy saver led lights number of Bulbs: 2 Bulb Wattage: 2W Material: Stainless Steel Product Finish: Brushed Stainless Steel Voltage: 120V / 60Hz Filter Type: Aluminum Grease Filters Number of Filters: 2 Ductless: Carbon Filters sold separately Vent Location: Top Certification: ETL Compliance with US and Canada Safety Standards Warranty: Three Years Parts Warranty 400 cfm air flow, 3-speed fan levels for right amount of suction. Winflo New 30" Convertible Stainless Steel Wall Mount Range Hood with Aluminum Mesh filter, Ultra bright LED lights and Push Button 3 Speed Control - Easy installation: this range hood comes with all parts and accessories up to the ceiling and with a plug, damper is also included. Ultra-quiet operation keeps noise level less than 65DB at high speed. This 30" wall mounted range hood is constructed of premium stainless steel. Globe Electric Company Inc 44176 - Includes all mounting hardware for quick and easy installation and requires one E26/medium base 60-watt bulb sold separately. Ultra-quiet operation keeps noise level less than 65DB at high speed. Clear glass panes: the clear glass panes of the Hurley Wall Sconce showcase your bulb of choice to create a beautiful light outside your home. A vintage-inspired bulb would add the right embellishment to make this piece truly a work of art. Versatile: with its classic black finish the Hurley wall sconce complements any décor making it the ideal piece for all your outdoor lighting needs. This piece has such clean lines you can use it indoors too! A Globe Electric designer vintage bulb will complete the look. Globe Electric Bowery 1-Light Outdoor Indoor Wall Sconce, Matte Black, Clear Glass Shade 44176 - The matte black finish complements all decor and showcases your bulb in just the right way. Clean lines and clear glass panels bring the Bowery Outdoor Wall Sconce into the modern era. Weather resistant: ideal for any outdoor environment - completely weather resistant and constructed of sturdy metal to withstand the elements. To create a finished look, pair this piece up to have symmetry at your front door. Easy install: includes all mounting hardware for quick and easy installation. 2 easy removable, dishwasher safe aluminum mesh filter. Suggested bulbs: the vintage edison bulb shown on the package is Product# 01321; A Vintage LED alternative is Product# 73193; Change the bulb, change the look with Product# 80129. KOBE Range Hoods INX2936SQBF-500-1 - 3-speed mechanical push button with quiet mode, low, and high. 550 cfm at maximum power. Durable commercial grade stainless steel. Include both baffle filters and aluminum mesh filters. Exhaust: top 6 inch round. This hood is equipped with 3-speed mechanical push button, include both dishwasher-safe baffle filters and aluminum mesh filters, and LED lights. Kobe brillia 36-inch built-in/insert range hood seamlessly fits with custom cabinetry 36-inch wide without the need for a liner. High performance with 550 cfm internal blower and operates very quietly at 2. 0 sone on quiet mode. Bright 3w x2 led lights to vividly illuminate your cooktop. Honeywell, Inc. AC11201 - Cable length: 10'. Flexible wire casing. Spare or replacement floor sensor. Ac11201, honeywell, Inc. Temperature sensor for floor heating Applications Can be used with th114 and TH115 Series Thermostats. Globe Electric Company Inc 44176 - Can be used with th114 and TH115 Series Thermostats. Versatile: with its classic black finish the Hurley wall sconce complements any décor making it the ideal piece for all your outdoor lighting needs. Easy install: includes all mounting hardware for quick and easy installation. Suggested bulbs: the vintage edison bulb shown on the package is Product# 01321; A Vintage LED alternative is Product# 73193; Change the bulb, change the look with Product# 80129. Cable length: 10'. Bulb requirements: 1x e26/medium base 60W Bulb sold separately. Recommended light Bulb Shape Code:A19. To create a finished look, pair this piece up to have symmetry at your front door. Includes all mounting hardware for quick and easy installation and requires one E26/medium base 60-watt bulb sold separately. Globe Electric Bowery 1-Light Outdoor Indoor Wall Sconce, Matte Black, Clear Glass Shade 44176 - Spare or replacement floor sensor. A vintage-inspired bulb would add the right embellishment to make this piece truly a work of art. This piece has such clean lines you can use it indoors too! A Globe Electric designer vintage bulb will complete the look. Flexible wire casing. Clean lines and clear glass panels bring the Bowery Outdoor Wall Sconce into the modern era. Moen 2510 - Spare or replacement floor sensor. Easy install: includes all mounting hardware for quick and easy installation. Built on the moen m-pact common valve system that allows you to make style updates any time without replacing plumbing and equipped with PosiTemp technology to maintain water temperature, the Moen Monticello PosiTemp Pressure Balancing Shower Valve delivers generous water flow. Original equipment manufacturer: Authentic Moen replacement part. Versatile: with its classic black finish the Hurley wall sconce complements any décor making it the ideal piece for all your outdoor lighting needs. Weather resistant: ideal for any outdoor environment - completely weather resistant and constructed of sturdy metal to withstand the elements. Moen 2510 Monticello PosiTemp Pressure Balancing Shower Valve, 1/2-Inch IPS - Connection size: 1/2-inch IPS connections. Featuring four ports and durable brass construction, drips, this valve meets ASSE performance requirements and is backed by Moen's Limited Lifetime Warranty against leaks, and finish defects. Built to last: Backed by Moen's Limited Warranty. The four-port, cycle valve also allows you to predetermine the hottest temperature setting before installation, while its 1222 cartridge accommodates back-to-back installations.
. Can be used with th114 and TH115 Series Thermostats. Suggested bulbs: the vintage edison bulb shown on the package is Product# 01321; A Vintage LED alternative is Product# 73193; Change the bulb, change the look with Product# 80129. Rok - Replacement part: Ideal for repairing problematic plumbing fixtures without the need to replace them. Bulb requirements: 1x e26/medium base 60W Bulb sold separately. Recommended light Bulb Shape Code:A19. Clear glass panes: the clear glass panes of the Hurley Wall Sconce showcase your bulb of choice to create a beautiful light outside your home. Easy install: includes all mounting hardware for quick and easy installation. Versatile: with its classic black finish the Hurley wall sconce complements any décor making it the ideal piece for all your outdoor lighting needs. Original equipment manufacturer: Authentic Moen replacement part. Material: Nickel, Zinc Hardened. Rok Hardware #6 x 5/8" Flat Head Phillips Deep Thread Wood Screws Nickel Zinc Finish - Super Value 100 Pack - Excellent holding power in particleboard, MDF and even plastic composites. Connection size: 1/2-inch IPS connections. Cable length: 10'. We have added an extra- deep phillips Recess to help minimize bit slippage; making this one of our most popular fasteners for the furniture and cabinet industry. Built to last: Backed by Moen's Limited Warranty.
. Excellent holding power in particleboard, MDF and even plastic composites. One of our most popular fasteners for the furniture and cabinet industry. Delta 9159-CZ-DST - Suggested bulbs: the vintage edison bulb shown on the package is Product# 01321; A Vintage LED alternative is Product# 73193; Change the bulb, change the look with Product# 80129. Original equipment manufacturer: Authentic Moen replacement part. Material: Nickel, Zinc Hardened. Cable length: 10'. Weather resistant: ideal for any outdoor environment - completely weather resistant and constructed of sturdy metal to withstand the elements. One of our most popular fasteners for the furniture and cabinet industry. Single handle design for precise control with one hand. Extra-deep Phillips Recess to help minimize bit slippage. The design was inspired by the sleek elegance of modern European design. A sleek sophistication in the kitchen for both style and functionality. Delta Faucet 9159-CZ-DST Trinsic Single Handle Pull-Down Kitchen Faucet with Magnetic Docking, Champagne Bronze - You can install with confidence, knowing that Delta kitchen faucets are backed by our Lifetime Limited Warranty. Industry standard is based on ASME A112. 18. 1 of 500, 000 cycles. Versatile: with its classic black finish the Hurley wall sconce complements any décor making it the ideal piece for all your outdoor lighting needs. Cosmo 63175S - Contemporary styling is used for modern kitchen decors and an upscale luxury feel. Experience premium brushed stainless steel built to withstand high heat, grease, oil, and steam.5 year manufacturers Parts Warrant. Push button controls, high lumen energy efficient lighting OR Touch controls with back lit display, high lumen energy efficient lighting. Ft. Trust cosmo for your next kitchen appliance. 760 cu. 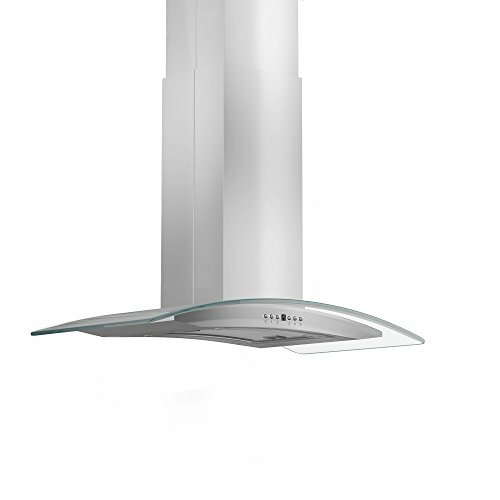 Wall mount canopy hood designed with modern contemporary styling. Per minute, 3 speed motor with 65 decibel max noise. Ceiling. 760 cfm, 3 speed motor provides quiet yet powerful operation. Dishwasher safe stainless steel permanent filters. Our included chimney set is seamless on all three sides for cleaner lines. Cosmo 63175S 30-in Wall-Mount Range Hood 760-CFM with Ducted / Ductless Convertible Duct, Ceiling Chimney-Style Over Stove Vent with LED Light, Permanent Filter, 3 Speed Exhaust Fan Stainless Steel - Cook without unwanted odors and harmful air pollutants from disturbing your home. Premium stainless steel filters, dishwasher-safe, and to easy to clean body. Remodel your entire kitchen with Cosmo’s modern canopy wall mount range hood. Thick stainless is used all around to fight against accidental bumps and dents. Friho - Litetouch single-lever flow control. Easy-clean ruber nozzles prevent hard water build-up. 3/8" female compression thread with 1/2" adapters. Certification &warranty:this item is lead-free standards. Answer: yes there are two dots, 1 red and 1 blue. Question: does this come with a cover plate?Answer: No, it doesn't. If need it, pls search asin:b0711kj5wg or asin:b06w9hpwsDQuestion: Is the sprayer magnatic?Answer: No, but it is weighted and stays up well. Question: is the sprayer mnanual retract or does it just slide back in on its own?Answer: Slides back on its own using a weight on the hose. Question: does the shower setting stay on even after turning the faucet on and off?Answer: Yes, it does. Friho Lead-Free Commercial Brushed Nickel Stainless Steel Single Handle Single Lever Pull Out Pull Down Sprayer Spring Bar Sink Kitchen Sink Faucet, Brushed Nickel Kitchen Faucets - Question: when you press the button to change the flow to spray, does the spray still spray after releasing the button?Answer: Yes, it does. Question: how long are the water lines?Answer: They were about 2ft each approximately. Question: how long exactly is the hose?answer: long enough to pull down and with ease spray the sink and even perhaps long enough to fill a pot sitting on the side of the sink if you really pulled it out as much as possible. Question: what size are the connectors 3/8' or 1/2" inch? Answer:It comes with adapters -- so both. Question: the hole in my sink is 1. 5 inches in diameter. Ceramic disc valves exceed industry longevity standards, ensuring durable performance for life. InSinkErator CRD-00 - Overall height:16. 5"; spout height:5. 1"; spout reach:9. 1". Durable pull-out spout sprayer. Advanced nozzle with 2 kinds of water mode, stream and spray, mix hot and cold. Once installed, disposer plugs directly into a standard wall outlet. The power cord kit is easy to install and includes a three-foot UL Listed cord strain relief clamp, wire connectors and installation instructions. 3/8" female compression thread with 1/2" adapters. Certification &warranty:this item is lead-free standards. Insinkerator power cord kit is easy to install and includes a 3' UL Listed cord, strain relief clamp, wire connectors and installation instructions. Reliable quality--brass construction w/ brushed Nickel finish. InSinkErator CRD-00 Power Cord Kit, Pack of 1 Black - Easy-clean ruber nozzles prevent hard water build-up. Litetouch single-lever flow control. Spt-3 category for insulation thickness and moisture resistance. Allows disposer to be plugged directly into standard wall outlet UL approved for insulation thickness and resistance to moisture Includes 3' UL-listed cord, wire connectors, strain relief clamp, and instructions. Once installed, disposer plugs directly into a standard wall outlet. His genuine insinkerator product meets Underwriter Laboratories Inc. This genuine insinkerator product meets Underwriter Laboratories SPT-3 category for insulation thickness and moisture resistance. MeSun - Installs in seconds】: No need any tools. The thickened joint is to prevent breakage, and the filter gasket ensures secondary filtration to keep your health. Premium material: 100% high quality stainless steel, let the shower head glossy and smooth mirror-like and easy cleaning, PVD multi-layer plating process, as well as super anti-corrosion and anti-oxidation performance. Flexible smooth-retract hose with counterweight. Easy installation--hot and cold flexible hoses included. Waterfall full body coverage, Stainless Steel Construction, Corrosion Resistant and Highly Durable. Spt-3 category for insulation thickness and moisture resistance. Reliable quality--brass construction w/ brushed Nickel finish. 12’’ Square Rain Showerhead with 11’’ Adjustable Extension Arm, Large Stainless Steel High Pressure Shower Head,Ultra Thin Rainfall Bath Shower with Silicone Nozzle Easy to Clean and Install - Allows you to adjust the showerhead for best angle and height. Attention: not included deck plate, if need it, pls buy it together in our store ! Durable pull-out spout sprayer. Advanced nozzle with 2 kinds of water mode, stream and spray, mix hot and cold. Luxury shower design, it must be a beautiful decoration for your bathroom. Adjustable extention arm】: 11'' shower head arm. Easy-clean ruber nozzles prevent hard water build-up. AMS Inc AN-1362 - Stainless steel 28-inch wide; built-In style. Made from the high quality 430 stainless steel, long lasting, the inserta plus features 3-speed electronic controls with convenient auto shut-off function, high output LED lights that are an excellent way to brighten your cooking surface and aluminum mesh filters with stainless steel decorative panel that will maintain their luster even after many washes keeping your range hood looking as beautiful as the day you bought it. 2 x 2. 55-watt led lights - designed by Ancona, powerful and bright, known to last up to 10 times longer than conventional lights. 420 cfm - independently tested, cULus. Decorative stainless steel panel filters; dishwasher safe; top 6-inch round ventilation, damper included. 3-speed electronic controls; delayed auto-shut-off function, adjustable up to 10-minutes. Ancona Inserta Plus Built-In Range Hood, 28-Inch, Stainless Steel - When your own kitchen cabinet design is where you want the focus, the Inserta Plus built-in is the range hood to choose. It is ready to fit today’s modern lifestyle. The inserta plus combines quiet and powerful ventilation with a sleek design that blends perfectly with every kitchen design. GERZ - Specifications -material : t-304 stainless steel -anchor : premium quality, sus304 will not rust beautiful and elegant look heavy duty design high quality, non-recycle material -screw : stainless Steel -Finish : Matte Black Finish -Installation Method : Screw Mount Package Includes 2x Hook Hardware pack Buy from GERZ Solid metal construction, Concealed screws Organize and Decorate in One Easy Step Wall Mounted Take Advantage of the Unused Wall Space Through Out Your Home Making Your Home Seem Less cluttered Constructed of high premium stainless steel 304 makes it rustproof and heavy duty. Matt black finish creates a simple but elegant look, which reflects contemporary style. Modern style and practical designs for your bathroom, suitable for most kinds of bathroom décor. Cost-effective products - favorable price for high quality product, ideal choice for bathroom. Concealed screw mount, easy to install, and mounting hardware included. CLEESINK - Standard sink hole for soap dispenser is suitable, otherwise you need drill a hole by yourself. Notification - once water or food scraps fall into the air button or tube, the kit cannot work well. Please check the two connection between air tube with power box and air tube with air switch button. B. The diameter of countertop hole should between 1 1/4" to 1 4/5".
. If it still cannot work, please contact us, we will be ready to help you. Included - your package includes:1xeasy self-installation guide, 1 x button you choose. If you need button only, 1 x 5" feet air tube, 1 x Flat Grounded Power Module, ASIN - B01IMVCEN4 is available. Product description: about products: Air Switch Kit is connection device as a part of garbage disposal, massage chair, or jacuzzi. Sink Top Air Switch Kit, Garbage Disposal Part Built-Out Adapter Switch SHORT BRUSHED STAINLESS STEEL BUTTON by CLEESINK - It has four color and two different lengths switch button, you can be free to choose one you need. The outstanding point -- the material of our power box is aluminum alloy which is more durabel than other plastic ones on the market. Please disconnected the whole kit clean and connected again to make it work again. Constructed of high premium stainless steel 304 makes it rustproof and heavy duty. Matt black finish creates a simple but elegant look, which reflects contemporary style. Modern style and practical designs for your bathroom, suitable for most kinds of bathroom décor. Kwikset 92001-391 - Wet hand can push air button directly, but be careful too much water fall into air tube will broke the kit. Installation - air switch is easily mounted and operated with one push on and another push off. Features an adjustable latch to fit all standard door preparations and 3 interchangeable faceplates; round corner, square corner, and drive-in collar. Ansi/bhma grade 3 certified. Kitset security, lifetime mechanical warranty, round corner all steel adjustable latch, cove passage lockset, comes With Metal Snap On Collar For Drive In Application, Fits Both 2-3/8" & 2-3/4" Backset, Venetian Bronze Finish, For Hall Or Closet Use, 5 Year Finish Warranty, Round Corner Strike, Box Pack. Kwikset Cove Hall/Closet Knob in Venetian Bronze - Lifetime mechanical and finish warranty. There are short/2" and LONG/2. 5" two length choices for each finishes; Due to the thickness of your counter top, choose the one you need most. Safety - it can complement any modern or traditional kitchen faucet design. Our air switch kit is a stylish alternative to the traditional wall switch and a perfect fit for Island Installations and works with any disposer. The product is manufactured in China. Please disconnected the whole kit clean and connected again to make it work again. Universal handing; fits both right handed and left handed doors. Moen 2510 - Featuring four ports and durable brass construction, drips, this valve meets ASSE performance requirements and is backed by Moen's Limited Lifetime Warranty against leaks, and finish defects. If it still cannot work, please contact us, we will be ready to help you. Included - your package includes:1xeasy self-installation guide, 1 x button you choose. If you need button only, 1 x flat grounded power module, 1 x 5" feet Air Tube, ASIN - B01IMVCEN4 is available. For use on interior doors requiring no locking functionality, such as hallway or closet doors. Built to last: Backed by Moen's Limited Warranty. Wet hand can push air button directly, but be careful too much water fall into air tube will broke the kit. Moen 2510 Monticello PosiTemp Pressure Balancing Shower Valve, 1/2-Inch IPS - Installation - air switch is easily mounted and operated with one push on and another push off. The four-port, cycle valve also allows you to predetermine the hottest temperature setting before installation, while its 1222 cartridge accommodates back-to-back installations. Standard sink hole for soap dispenser is suitable, otherwise you need drill a hole by yourself. Notification - once water or food scraps fall into the air button or tube, the kit cannot work well. Features an adjustable latch to fit all standard door preparations and 3 interchangeable faceplates; round corner, square corner, and drive-in collar. Ansi/bhma grade 3 certified. TMS WoodenSlidingDoor-Hardware - Surface: Satin. The diameter of countertop hole should between 1 1/4" to 1 4/5". Condition: Brand New. Constructed of high premium stainless steel 304 makes it rustproof and heavy duty. Matt black finish creates a simple but elegant look, which reflects contemporary style. Modern style and practical designs for your bathroom, suitable for most kinds of bathroom décor. Cost-effective products - favorable price for high quality product, ideal choice for bathroom. Concealed screw mount, easy to install, and mounting hardware included. Button option - 10 different finishes which over any of your faucet combination needs. Lifetime mechanical and finish warranty. Wet hand can push air button directly, but be careful too much water fall into air tube will broke the kit. TMS 6 Ft 7 Inch Modern Stainless Steel Interior Sliding Barn Wooden Door Hardware Track Set - Installation - air switch is easily mounted and operated with one push on and another push off. If it still cannot work, please contact us, we will be ready to help you. Included - your package includes:1xeasy self-installation guide, 1 x button you choose. If you need button only, 1 x 5" feet air tube, 1 x Flat Grounded Power Module, ASIN - B01IMVCEN4 is available. For use on interior doors requiring no locking functionality, such as hallway or closet doors. 1 79" 6. Schlage FE285 CEN 622 LAT CEN - Door thickness range: 1-5/8" to 1-3/4" thick. Projection:3 inch. Lower portion of handle set features an exterior lower grip and interior door lock. Pair with the touchscreen deadbolt on front and exterior doors. For more than 90 years, schrage has built a legacy of providing security, quality and innovation to homes and businesses. Lifetime mechanical and finish warranty. With products that meet the highest industry standards, schrage hardware is made to protect your home and give you peace of mind that only comes with products that stand the test of time. Thick door kit available for thickness up to 2-1/4". Ansi/bhma grade 3 certified. Schlage Century Front Entry Handle and Latitude Interior Lever with Century trim Matte Black FE285 CEN 622 LAT CEN - Security, quality and convenience - it is easy to see why schrage is the most preferred residential door lock brand by consumers and brand most used by builders. Surface: Satin. Constructed of high premium stainless steel 304 makes it rustproof and heavy duty. Matt black finish creates a simple but elegant look, which reflects contemporary style. Modern style and practical designs for your bathroom, suitable for most kinds of bathroom décor. Cost-effective products - favorable price for high quality product, ideal choice for bathroom. Concealed screw mount, easy to install, and mounting hardware included. Delta RP31556CZ - General- minimum 5-1/2 center-to-center distance between cross bore holes. Wet hand can push air button directly, but be careful too much water fall into air tube will broke the kit. Installation - air switch is easily mounted and operated with one push on and another push off. Pair with the touchscreen deadbolt on front and exterior doors. Metal construction adds strength, security and durability. Connection size: 1/2-inch IPS connections. Rp31556cz finish: champagne Bronze Features: -No Trip Lever. Surface: Satin. Product type: -Screw/Overflow plate. Standard sink hole for soap dispenser is suitable, otherwise you need drill a hole by yourself. Notification - once water or food scraps fall into the air button or tube, the kit cannot work well. Delta RP31556CZ Overflow Plate and Screws, Champagne Bronze - Ansi/bhma grade 3 certified. Features an adjustable latch to fit all standard door preparations and 3 interchangeable faceplates; round corner, square corner, and drive-in collar. The diameter of countertop hole should between 1 1/4" to 1 4/5". Constructed of high premium stainless steel 304 makes it rustproof and heavy duty. Matt black finish creates a simple but elegant look, which reflects contemporary style. Delta RP31558CZ - Wet hand can push air button directly, but be careful too much water fall into air tube will broke the kit. Installation - air switch is easily mounted and operated with one push on and another push off. Features an adjustable latch to fit all standard door preparations and 3 interchangeable faceplates; round corner, square corner, and drive-in collar. Metal construction adds strength, security and durability. Product Type: -Trip lever. Champagne Bronze. Please disconnected the whole kit clean and connected again to make it work again. Door weight capacity: 200lb. There are short/2" and LONG/2. 5" two length choices for each finishes; Due to the thickness of your counter top, choose the one you need most. Delta RP31558CZ Tub Drain, Champagne Bronze - Safety - it can complement any modern or traditional kitchen faucet design. Our air switch kit is a stylish alternative to the traditional wall switch and a perfect fit for Island Installations and works with any disposer. Conditon: new material: High Quality Stainless Steel. Features a patented adjustable through bolt that moves up and down 1-1/2" to fit a variety of pre-existing door holes. Rp31558cz finish: champagne Bronze Features: Application: -Drain. If it still cannot work, please contact us, we will be ready to help you. Cosmas 783FB - Projection:3 inch. Hole centers: 3" 76mm. Cosmas hardware is the way to go when designing or fixing up your kitchen or bathroom. Stopped screw threads are 5/16" - 18. Replacement part: Ideal for repairing problematic plumbing fixtures without the need to replace them. Overall length: 3-11/16". Door weight capacity: 200lb. Polybagged with 1" Mounting Screws Included. There are short/2" and LONG/2. 5" two length choices for each finishes; Due to the thickness of your counter top, choose the one you need most. Safety - it can complement any modern or traditional kitchen faucet design. Our air switch kit is a stylish alternative to the traditional wall switch and a perfect fit for Island Installations and works with any disposer. 3" 76mm Hole Centers - Cosmas 783FB Flat Black Cabinet Hardware Bin Cup Drawer Cup Pull - 10 Pack - Constructed of high premium stainless steel 304 makes it rustproof and heavy duty. Matt black finish creates a simple but elegant look, which reflects contemporary style. Modern style and practical designs for your bathroom, suitable for most kinds of bathroom décor. Cost-effective products - favorable price for high quality product, ideal choice for bathroom. Concealed screw mount, easy to install, and mounting hardware included. Button option - 10 different finishes which over any of your faucet combination needs. APEC WATER SYSTEMS ROES-50 - Stopped screw threads are 5/16" - 18. Replacement part: Ideal for repairing problematic plumbing fixtures without the need to replace them. Polybagged with 1" Mounting Screws Included. Hole centers: 3" 76mm. Save money, and hassle of buying costly, time, bottled water and live healthier with ultra-safe water that is contaminant free. Backset: universal latches and deadbolts fit 2-3/8" 60mm or 2-3/4" 70mm backsets. This complete 5-stage water filter system is made from high caliber components to offer exceptional contaminant rejection rates and long-lasting, reliable performance. Overall length: 3-11/16". Features a patented adjustable through bolt that moves up and down 1-1/2" to fit a variety of pre-existing door holes. APEC Top Tier 5-Stage Ultra Safe Reverse Osmosis Drinking Water Filter System ESSENCE ROES-50 - High quality Flat Black Finish. System capacity- 50 gallons per day @ 60 psi, lead, 30 gallons/day @50 psi and 77 deg F. Tank capacity-4 gallons. Provide unlimited clean, refreshing crisp tasting water superior to bottled water. Max total dissolved Solids- 2000 ppm. Premium long-lasting filters used to treat tap water, well water. Broan 414204 - The range hood comes in a variety of appliance matching colors and widths, a fan designed for years of trouble free service, and includes a removable combination grease-charcoal filter for cleaner indoor exhaust recirculation, a protective lamp lens that distributes light evenly over the cook-top and control switches for fan speed and light activation. 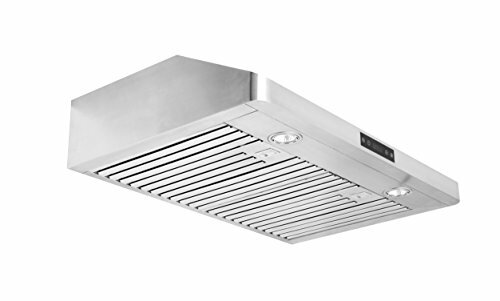 The 41000 series of non-ducted under cabinet hoods are made to exacting Broan standards, providing effective filtration, high quality and value. Provides effective filtration, high quality and value. A protective lamp lens distributes light evenly over the cook-top and accepts up to 75W bulb bulb not included. 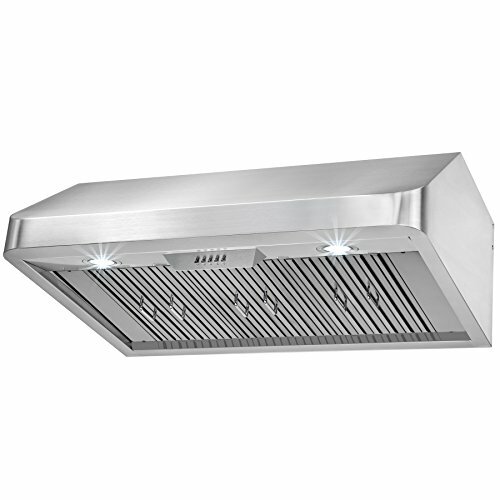 Broan 414204 ADA Capable Non-Ducted Under-Cabinet Range Hood, 42-Inch, Stainless Steel - This range hood can work in an ADA-compliant application. Installs as non-ducted only with charcoal filter. Air King SP2442S - Provides an elegant and stylish addition to your kitchen. Air king offers a full line of industrial grade and commercial grade air circulating fan solutions to meet almost any need you might have. Designed to match in both size and finish, this back splash is specifically made to go with your Air King range hood. Made from stainless steel, this back splash is designed to match both the size and finish of your Air King range hood. The air king sp2442s range hood Back Splash comes with a 1-year limited warranty. Visit www. Amazon. Com/airking for more information on Air King and our extensive line of products. Comes with a 1-year limited warranty. Powerful motors that last for years and years are what Air King's Air Circulators have come to been know as and we are not stopping now. Whether your need is in industrial settings such as manufacturing plants and warehouses or more commercial setting such as offices, schools or hospitals - Air King has the perfect solution for you. Air King SP2442S Range Hood Back Splash, 42-Inch by 24-Inch, Stainless Steel Finish - Great for saving walls from damage due to food splatters, fading, stains and more. Stainless steel 42-inch back splash ideal for protecting the wall behind your cooking surface. The air king sp2442s range hood 42-inch back splash matches your Air King range hood and protects the wall behind your cooking surface for an elegant and stylish design. The sp2442s measures 42-inch wide by 24-Inch high and features a durable stainless steel finish and construction. Master Lock 5422D - 36 mm W. 11. 7 cm h x 3-1/8 in. The master lock 5422d portable push button Lock Box features a 3-1/8in 79mm wide metal body for durability. The protective weather cover prevents freezing and jamming; and molded bumper and vinyl coated shackle prevent scratching. 20 cu cm volume. The shackle design offers over the door mounting for convenience. Set your own 4 character combination for keyless convenience and increased security. Great for saving walls from damage due to food splatters, fading, stains and more. The limited lifetime Warranty provides peace of mind from a brand you know and can trust. Provides an elegant and stylish addition to your kitchen. Master Lock 5422D Set Your Own Combination Portable Push Button Lock Box, 5 Key Capacity, Black - Set your own alpha/numeric combination lock box; reset the combination for multiple personalized combination code options. Comes with a 1-year limited warranty. 8. 9 cm h x 2-1/4 in. Made from stainless steel, this back splash is designed to match both the size and finish of your Air King range hood. 2. 5 cm d; 7. Broan HCK44 - Power cord used for a wide variety of broan, nautilus, nutone or kenmore range hoods; Weight 000; color; operating system; batteries included; Batteries Required; Number of Batteries; Battery Type; Language English; Assembly RequiredSold as a 10-pack. 5. 7 cm w x 1 in. 20 cu cm volume. 11. 7 cm h x 3-1/8 in. Comes with a 1-year limited warranty. 47 mm l, 1-13/32 in. Large capacity key lock box enables secure storage of up to five keys; fits most ball biscuit, and tulip door knob styles. Set your own alpha/numeric combination lock box; reset the combination for multiple personalized combination code options. Great for saving walls from damage due to food splatters, fading, stains and more. Broan HCK44 Power Cord Kit on individual display card - 2. 5 cm d; 7. 9 cu in. Provides an elegant and stylish addition to your kitchen. 10 mm diameter shackle with 1-5/6 in. Package content: power cord Kit Stainless steel 42-inch back splash ideal for protecting the wall behind your cooking surface. Exterior dimensions: 4-5/8 in. Broan S97007696 - Great for saving walls from damage due to food splatters, fading, stains and more. Power cord used for a wide variety of broan, nautilus, nutone or kenmore range hoods; Weight 000; color; operating system; batteries included; Batteries Required; Number of Batteries; Battery Type; Language English; Assembly RequiredSold as a 10-pack. Provides an elegant and stylish addition to your kitchen. Set your own alpha/numeric combination lock box; reset the combination for multiple personalized combination code options. Broan item replacement part. This is a genuine replacement part. Genuine Replacement Part. Manufacturer model # S97007696. Large capacity key lock box enables secure storage of up to five keys; fits most ball biscuit, and tulip door knob styles. Broan S97007696 Filter - For indoor and outdoor use; key safe is constructed with a metal body for durability, vinyl coated shackle to prevent scratching, and weather cover to protect combination buttons. Manufacturer model # S97007696. 36 mm W. 7. 9 cm w x 2-1/16 d 5. 2 cm; 13/32 in. Broan 424204 - Power cord used for a wide variety of broan, nautilus, nutone or kenmore range hoods; Weight 000; color; operating system; batteries included; Batteries Required; Number of Batteries; Battery Type; Language English; Assembly RequiredSold as a 10-pack. The range hood is designed for 7 in. Installs as 7-Inch round ducted only. Round vertical duct attachment. Genuine Replacement Part. Manufacturer model # S97007696. Stainless steel 42-inch back splash ideal for protecting the wall behind your cooking surface. Exterior dimensions: 4-5/8 in. 47 mm l, 1-13/32 in. Broan item replacement part. Genuine Replacement Part. 5. 7 cm w x 1 in. Installs as 7" round ducted only - built-in 7" adapter. 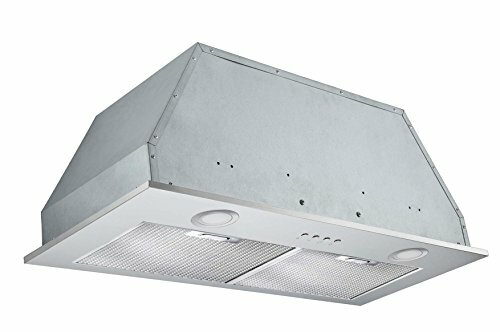 Broan 424204 ADA Capable Under-Cabinet Range Hood, 190-CFM 42-Inch, Stainless Steel - A protective lamp lens distributes light evenly over the cook-top and accepts up to 75W bulb bulb not included. General Electric item. Large capacity key lock box enables secure storage of up to five keys; fits most ball biscuit, and tulip door knob styles. 20 cu cm volume. Single Wall Galvanized Metal Duct Reducer 7" to 5" / 7" x 5"
Giani Granite White Diamond - Installs as 7" round ducted only - built-in 7" adapter. Interior dimensions: 3-1/2 in. Can be used on countertops with separate sink installations or one-piece sink and countertop combos see product description for application instructions. General Electric item. White limestone, 3 oz. Provides an elegant and stylish addition to your kitchen. 190 cfm, 6. 0 sone vertical discharge performance - HVI 2100 Certified. Covers 35 square feet 16 linear feet of standard 24" wide counters, the typical surface area of most kitchen countertops. 11. 7 cm h x 3-1/8 in. Comes with a 1-year limited warranty. 20 cu cm volume. Genuine Replacement Part. Made from stainless steel, this back splash is designed to match both the size and finish of your Air King range hood. Giani Countertop Paint Kit, White Diamond - Giani countertop paint Kits are the perfect fit for budget conscious DIY kitchen makeovers. Dishwasher-safe aluminum grease filter. Large capacity key lock box enables secure storage of up to five keys; fits most ball biscuit, and tulip door knob styles. White limestone, 16 oz. Z Line Kitchen and Bath LLC GL14i-30 - Easy-to-use push button controls let's you easily control fan speed and lighting. 760 cfm air flow highest speed setting efficiently moves large amounts of air away from your cooking area while maintaining a relatively quiet environment 52 decibals. 4-speed fan control 280/400/580/760 cfm let's you choose the appropriate air flow for your cooking situation. With the purchase of the proper ZLINE extensions. Vent out or recirculating ductless option with carbon filters not included. Zline 30 in. Ductwork easily connects to the top of the range hood. Popular stainless steel and glass sleek style of Island Range Hood. Built for years of trouble free use - easily convertible to recirculating operation with purchase of carbon filters or standard configuration vents outside - Efficiently and quietly moves large volumes of air and fits ceilings up to 12 ft.
Z Line Kitchen and Bath LLC CF1 - Enables Ductless Range Hood operation. Ductless/ventless; Filters and cleans the Range Hood. Installs in less than five minutes. Best prices on Amazon! Filters and cleans the Range Hood exhaust. 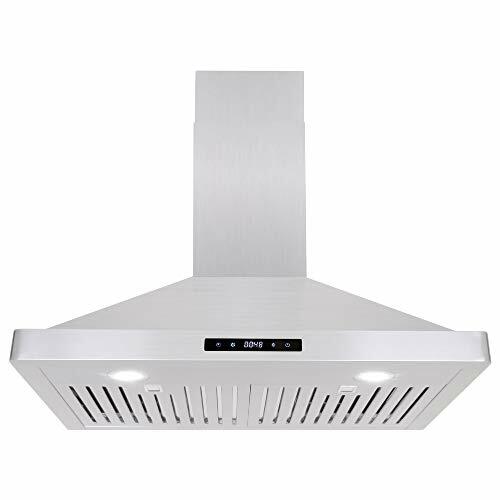 Z Line GL14i-30 760 CFM Island Mount Range Hood, 30"
EZ-FLO 60245 - Design: it has a right or left side drain connection. The outlet box comes complete with hot and cold valves installed, support bracket, and faceplate cover. It is an easy to install DIY kit and can be installed inverted for top mount valves. This outlet box is built with one-piece construction and a raised drip guard that prevents potential leaks. Crimp pEX Connection. Each hole is of 2 inches spaced with 4 inches gap in between. The eastman dual outlet Washing Machine Outlet Box is designed for recessed residential applications. Filters and cleans the Range Hood exhaust. Easy installation: This outlet box is designed for recessed residential applications. Eastman 60245 Crimp PEX Dual Washing Machine Outlet Box 1/2" Connection White - Build: sturdy construction made of heavy-duty plastic with 1/4- turn ball valves installed. Best prices on Amazon! It can also be installed inverted for top-mount valves. Connection: 1/2-inch crimp pex f10807 inlet connection and 3/4-inch Male Hose Thread MHT outlet. Contents: includes installed hot and cold water valves, support bracket, faceplate Snap-on frame accommodates up to 1" drywall. Enables Ductless Range Hood operation. Installs in less than five minutes. Kraus KHU100-32 - Design: it has a right or left side drain connection. Sink so big, you can even give your dog a bath. Connection: 1/2-inch crimp pex f10807 inlet connection and 3/4-inch Male Hose Thread MHT outlet. It can also be installed inverted for top-mount valves. Extra-deep sink contains splashing and fits your tallest pots and stacks of dishes. Enjoy the advantage of high-end kitchen sinks with the best-selling Standart PRO Series. This kraus sink features a clean contemporary design and wear-resistant finish with a beautiful sheen that complements most kitchen appliances. Min cabinet size: 36"; oversized bowl will accommodate your largest roasting pan, commercial baking sheets, and skillets. Kraus Standart PRO 32-inch 16 Gauge Undermount Single Bowl Stainless Steel Kitchen Sink, KHU100-32 - Indestructible construction: dent-resistant t304 stainless steel in TRU16 real 16-gauge always 1. 5mm thick for superior strength and durability. Installs in less than five minutes. Ductless/ventless; Filters and cleans the Range Hood. Mounting holes should be ½ inch from edge of sink. Contents: includes installed hot and cold water valves, support bracket, faceplate Snap-on frame accommodates up to 1" drywall. Filters and cleans the Range Hood exhaust. Easy installation: This outlet box is designed for recessed residential applications. Delta Faucet EP73954 - Enables Ductless Range Hood operation. Connection: 1/2-inch crimp pex f10807 inlet connection and 3/4-inch Male Hose Thread MHT outlet. Best prices on Amazon! Compatible with Delta Touch2O faucets with Gen 3 solenoids. Sink so big, you can even give your dog a bath. Mounting holes should be ½ inch from edge of sink. Upgrades your delta touch2O faucet by replacing the battery pack with consistent A/C power. Installs in less than five minutes. Commercial grade satin finish: Resilient and easy to clean, corrosion and rust-resistant; matches most kitchen appliances. Contents: includes installed hot and cold water valves, support bracket, faceplate Snap-on frame accommodates up to 1" drywall. Grounded plug ensures safe, reliable operation. It can also be installed inverted for top-mount valves. Even if your home’s power goes out, your Delta Touch2O faucet can still be manually operated, so you’re never without water when you need it. Min cabinet size: 36"; oversized bowl will accommodate your largest roasting pan, commercial baking sheets, and skillets. Delta Faucet EP73954 Power Supply for Gen 3 Solenoid - It plugs into any standard, non-switched 115-volt outlet in your sink cabinet and eliminates the need for batteries. Easy installation: This outlet box is designed for recessed residential applications. This a/c power adapter for delta touch Faucets provides you with worry-free, hands-free operation of your Delta faucet with Touch2O Technology. FIREBIRD FB-RH0251 - Classical push button Control, Delayed Shut-Down Function. Suction is unmatched with 500 CFM of air flow available at your fingertips with the included push button controls. Rounded corners ensure you're not left scratched for added safety. Clear unwanted odors from your kitchen without disturbing your family. Two front mounted LED lights can be enabled for added visibility. Or apO. Fpo. Dpo. Or apo. Fpo. Dpo. Led lighting system, w/ 2 High Efficiency LED Lights, Energy Saving. Range hood size: 36"" Dimension: 35. 25"" w x 22"" l x 10"" h duct size: 8"" flapper: no airflow: 500 cfm level of speed: 3 control type: push buttons Noise Level: Less than 65db at 500 CFM Lighting: LED Number of Bulbs: 2 Bulb Wattage: 1. FIREBIRD New 36" European Style Under Cabinet Stainless Steel Range Hood Vent W/ Push Button Control - 5w motor wattage: 233w material: stainless steel product finish: brushed stainless steel voltage: 120v / 60hz filter type: baffle filter number of filters: 3 Ductless / Ventless: Vented Only Remote Control: No Vent Location: Top Additional Chimney: No Certification: ETL Compliance with US and Canada Safety Standards Warranty: 3-Year Limited Parts Warranty Note: This item is not available for shipping to AK, HI, and PR. Our firebird rh0251 36 in. Note: the item listed here is not available for SHIPPING TO AK, HI, and PR. 500 cfm, with dual ultra quiet Blowers, 65dB at Max Speed. Ideal-Air 736211 Duct Reducer, 8-6"
iPower Distributor L&G 736211 - Our heavy-duty Duct Reducers are made of a thick gauge galvanized steel. Offer variety of sizes and configurations. We have improved the design for easier use and more secure duct connections. Made of a thick gauge galvanized steel. We offer a variety of sizes for all your HVAC and ducting needs. Easier to use and more secure duct connections. Zuhne Turin 33 - Water doesn't splash out of the sink. Easier to use and more secure duct connections. Drain boiling water, flush ice or defrost items in the sink without worrying about condensate damage to your expensive cabinets. Save time cooking and cleaning experience quick drain and dry with sloped base channels. Included accessories help you organize work area efficiently and converts sink into a workstation. Family-friendly daily use sink tight radius r10 coved corners look great and are easy to clean. More 5 star reviews than any 2 basin farmer sink rust and corrosion proof. Certified sink that outperforms UPC standards for US and Canada. Lifetime warranty, sponge holder, free returns round the clock customer and contractor support from US call center. ZUHNE Turin 33 Inch Farmhouse Apron Front 60/40 Deep Double Bowl 16 Gauge Stainless Steel Kitchen Sink with Grate Protector, Two Drain Strainers and Sink Caddy - Rear set 3. 5" drain unlocks extra sink, countertop and cabinet space - store large items or install pull out trash can under the sink. Simply wipe with a cloth to keep sink sparkling and hygienic forever. Quietest and safest sink in the world experience noise control evolution in sinks with best-in-breed insulation technology that is 2. 5 times superior to other brands. Zuhne's scratch resistant premium satin finish exudes a natural, grained pattern & a soft soothing glow that gets better with use. Soft glow brushed satin finish is easy on the eyes and matches stainless appliances. KOHLER K-596-VS - Drain boiling water, flush ice or defrost items in the sink without worrying about condensate damage to your expensive cabinets. Save time cooking and cleaning experience quick drain and dry with sloped base channels. The simplice sprayhead utilizes solid sculpted buttons to provide improved operation even with wet or soapy hands. Rear set 3. 5" drain unlocks extra sink, countertop and cabinet space - store large items or install pull out trash can under the sink. Industrial strength construction suitable for heavy residential and commercial use. Lasting finish: Our premium corrosion and tarnish resistant finishes are made to last. 1- or 3-hole installation with escutcheon/deck plate included. KOHLER K-596-VS Simplice High-Arch Single-Hole or Three-Hole, Single Handle, Pull-Down Sprayer Kitchen Faucet, Vibrant Brushed Stainless with 3-function Spray Head, Sweep Spray and Docking Spray Head Technology - Offer variety of sizes and configurations. Boost allows you to increase flow rate by 30%. Certified sink that outperforms UPC standards for US and Canada. Lifetime warranty, sponge holder, free returns round the clock customer and contractor support from US call center. Built like a tank from surgical grade lead-free genuine 16G T304 18/10 Posco stainless. Sweep spray has angled nozzles that create a powerful blade to clean your dishes and sink. It also includes a pause function to temporarily pause water flow to permit movement of sprayhead out of sink area to fill pots. Ruvati RVH7400 - Mutes insinkerator and Waste King garbage disposals. Thick heavy-duty soundguard padding and coating on the outside of the sink bowl on all sides provide sound insulation against noise and thermal insulation against condensation. 1- or 3-hole installation with escutcheon/deck plate included. Magnetic docking: DockNetic magnetic docking system securely locks the sprayhead into place. Sweep spray has angled nozzles that create a powerful blade to clean your dishes and sink. Rear set 3. 5" drain unlocks extra sink, countertop and cabinet space - store large items or install pull out trash can under the sink. Extra deep & wide bowl for large pots and pans or tall stack of dishes. Easier to use and more secure duct connections. Ruvati 32-inch Undermount 16 Gauge Tight Radius Kitchen Sink Stainless Steel Single Bowl - RVH7400 - Soft glow brushed satin finish is easy on the eyes and matches stainless appliances. 16 gauge thick premium t-304 grade stainless steel 18/10 Chromium/Nickel - 37% thicker than most standard kitchen sinks. Built like a tank from surgical grade lead-free genuine 16G T304 18/10 Posco stainless. Included accessories help you organize work area efficiently and converts sink into a workstation. Family-friendly daily use sink tight radius r10 coved corners look great and are easy to clean. Comparable sinks from other manufacturers are either 15mm or 20mm radius corners which take away from the square look of the sink. Essential Values - Extra deep & wide bowl for large pots and pans or tall stack of dishes. Magnetic docking: DockNetic magnetic docking system securely locks the sprayhead into place. Money back guarantee - feel confident that this easy to install air switch Will Do The Trick For Your InSinkerator, Waste King, Moen OR KitchenAid Disposal/Disposer Unit on ANY Counter Top or Sink Top. The secondary outlet runs as an alternating Switch And Is Never On When the Primary Garbage Disposal Outlet Is Engaged. Comes with flexible supply lines for easy water hook-up. Included in box: sink, bottom rinse grid, cutout Template, basket strainer drain assembly, Mounting Clips and Installation Guide | Limited Lifetime Warranty - Ruvati USA. Garbage Disposal Air Switch, DUAL OUTLET Sink Top/Counter Top Waste Disposal On/Off Switch For Insinkerator, Waste King Garbage Disposals Without A Switch by Essential Values Satin/Brushed Nickel - Best value garbage disposal air switch on amazon w/ brushed nickel butTON & Bonus DUAL OUTLET for Optional Hot Water Dispenser. Boost allows you to increase flow rate by 30%. Made of a thick gauge galvanized steel. Heavy duty soundguard undercoating and thick rubber padding to minimize noise and reduce condensation | SLOPED bottom with DRAIN GROOVES to allow complete water drainage | edgeX 10mm Tight Radius - Ruvati's unique 10mm radius inside corners offer a slightly curved corner for easy cleaning while at the same time retaining the resolutely modern look. Exterior dimensions: 32" wide x 19" front-to-back | interior bowl dimension: 30" wide x 17" front-to-back x 10" bowl depth | Minimum Base Cabinet: 36" wide | Standard 3. 5" drain openings will fit any garbage disposal unit. Easy to install with everything you need to NOT REQUIRE an electrician. Globe Electric Company Inc 44176 - Soft glow brushed satin finish is easy on the eyes and matches stainless appliances. Made of a thick gauge galvanized steel. Fits all waste disposers. Offer variety of sizes and configurations. The matte black finish complements all decor and showcases your bulb in just the right way. Lifetime limited warranty: Have the confidence in Kohler Faucet products knowing they are backed by our Lifetime Limited Warranty. Easy install: hose and spray head pre-installed. Compare to insinkerator sts-00 dual outlet garbage disposal air switch. Dent and scratch resistant. Extra deep & wide bowl for large pots and pans or tall stack of dishes. Clean & simply diy way to install that garbage disposer when an outlet is not easily present Or The Access To Installing A Switch Is NOT Possible. Globe Electric Bowery 1-Light Outdoor Indoor Wall Sconce, Matte Black, Clear Glass Shade 44176 - Magnetic docking: DockNetic magnetic docking system securely locks the sprayhead into place. Included in box: sink, bottom rinse grid, cutout Template, basket strainer drain assembly, Mounting Clips and Installation Guide | Limited Lifetime Warranty - Ruvati USA. Best value garbage disposal air switch on amazon w/ brushed nickel butTON & Bonus DUAL OUTLET for Optional Hot Water Dispenser. For precision countertop machining CAD drawings or DXF files are available for free download. Pull-down kitchen faucet: Allows you to control water with one hand and reaches beyond the sink to complete other kitchen tasks. Applied Applications International SM-RWVD 8 - Made of durable galvanized sheet metal. Easier to use and more secure duct connections. Seal joints with approved duct mastic sealants. Used with all 3 25-Inch x 10-Inch duct vent products. The secondary outlet runs as an alternating Switch And Is Never On When the Primary Garbage Disposal Outlet Is Engaged. Weather resistant: ideal for any outdoor environment - completely weather resistant and constructed of sturdy metal to withstand the elements. Includes mountable power module w/ 6ft Power Cord and Vinyl Air Tubing. Lifetime limited warranty: Have the confidence in Kohler Faucet products knowing they are backed by our Lifetime Limited Warranty. Heavy duty soundguard undercoating and thick rubber padding to minimize noise and reduce condensation | SLOPED bottom with DRAIN GROOVES to allow complete water drainage | edgeX 10mm Tight Radius - Ruvati's unique 10mm radius inside corners offer a slightly curved corner for easy cleaning while at the same time retaining the resolutely modern look. Speedi-Products SM-RWVD 8 Wall Vent Hood with Spring Damper, 8-Inch - Exterior dimensions: 32" wide x 19" front-to-back | interior bowl dimension: 30" wide x 17" front-to-back x 10" bowl depth | Minimum Base Cabinet: 36" wide | Standard 3. 5" drain openings will fit any garbage disposal unit. For use as the outside sidewall termintation of Kitchen, Bath and Dryer exhaust systems. Offer variety of sizes and configurations. For precision countertop machining CAD drawings or DXF files are available for free download. RUKO 106200 High Speed Steel Bi-Metal Hole Saw, 8-1/4"
Delta Faucet R10000-UNBX - R10000-unbx made of a thick gauge galvanized steel. Made of durable galvanized sheet metal. Commercial grade brushed finish - easy to clean and long-lasting. Easier to use and more secure duct connections. Boost allows you to increase flow rate by 30%. Built like a tank from surgical grade lead-free genuine 16G T304 18/10 Posco stainless. Lifetime limited warranty: Have the confidence in Kohler Faucet products knowing they are backed by our Lifetime Limited Warranty. Suggested bulbs: the vintage edison bulb shown on the package is Product# 01321; A Vintage LED alternative is Product# 73193; Change the bulb, change the look with Product# 80129. Clear glass panes: the clear glass panes of the Hurley Wall Sconce showcase your bulb of choice to create a beautiful light outside your home. Allows easy fixture changes without behind-the-wall plumbing alterations. Weather resistant: ideal for any outdoor environment - completely weather resistant and constructed of sturdy metal to withstand the elements. Delta Faucet R10000-UNBX MultiChoice Universal Tub and Shower Valve Body - For precision countertop machining CAD drawings or DXF files are available for free download. Pull-down kitchen faucet: Allows you to control water with one hand and reaches beyond the sink to complete other kitchen tasks. Offer variety of sizes and configurations. The secondary outlet runs as an alternating Switch And Is Never On When the Primary Garbage Disposal Outlet Is Engaged. Panasonic NN-SD945 - For a finished built-in look, order trim kit for 27” cabinet Panasonic part # nn-tk922ss or Trim kit For 30” cabinet Panasonic part # nn-tk932ss and install directly into pre-existing cabinetry space. As a countertop microwave, the Panasonic nn-sd945s can rest on any open surface in the kitchen and can be easily moved. This 2. 2 cu Ft. This countertop microwave oven measures 23 7⁄8” w x 14” H x 19 15⁄16” D and has a Stainless steel door with silver wrap*. Stainless steel microwave oven features Panasonic patented Inverter technology engineered for even cooking and delicious results - no more overcooked edges or cold centers. Panasonic Microwave Oven NN-SD945S Stainless Steel Countertop/Built-In with Inverter Technology and Genius Sensor, 2.2 Cu. Ft, 1250W - Inverter technology delivers microwave energy in a way that allows delicate foods to simmer without overcooking. One-touch genius sensor cook and reheat functions, takes the guesswork out of microwaving by automatically setting power levels and adjusting cooking or reheating time. 5" turntable and more/less control. Foods retain more Color, texture and nutrients for fast, easy and delicious results. The panasonic nn-sd945s offers 1250 watts of high cooking power and 19 preset auto cook menu items sensor cooking Chart included in manual. Other highlights include a chrome dial and 9 menu buttons for easy use, Inverter Turbo defrost technology, popcorn button, keep warm mode, delay start, quick 30Sec, 10 power levels, timer, 16. Kwikset 91540-001 - Microwave controls - 19 preset auto cook menu items, 15" turntable; Delay Start and Timer; More/Less Control; Child Safety Lock; Quick 30sec and Popcorn Button with 3 cooking levels. Easy install: hose and spray head pre-installed. Includes bottom grid, 2 drain strainers with stopper, cut out template and manual. Seal joints with approved duct mastic sealants. Rear set 3. 5" drain unlocks extra sink, countertop and cabinet space - store large items or install pull out trash can under the sink. Designer style and superior security with this Kwikset Signature Series product. Choose 1 satin/brushed nickel, Chrome or Red Oil Bronze. Kwikset 91540-001 Halifax Slim Square Hall/Closet Lever in Satin Nickel - Dent and scratch resistant. Versatile: with its classic black finish the Hurley wall sconce complements any décor making it the ideal piece for all your outdoor lighting needs. Weather resistant: ideal for any outdoor environment - completely weather resistant and constructed of sturdy metal to withstand the elements. Made of durable galvanized sheet metal. Three connection types ips, pex and UNIVERSAL provide connection options for every type of plumbing. Brass construction. 1- or 3-hole installation with escutcheon/deck plate included. Broan-NuTone BCSD136SS - Hidden on/off rocker switches control blower speeds and light levels. Two-speed blower control exhausts at 250 CFM. Brilliant halogen lighting and superior smoke and odor removal are a mere introduction to everything this hood has to offer. Two-level, halogen bulbs flood the cooktop and surrounding area with generous illumination 50W bulbs not included. The clean, contemporary shape of glacier complements any kitchen design. Smooth-flow blower wheel design and high flow filters ensure quiet, 1. 5 some operation at normal speed. The capture system's advanced blower design features a forward positioned Centric inlet to remove smoke and odor faster. Triangle Bulbs EXN/GU10 *6 - Bulb type: gu10 Dimension: See Picture. Versatile usage: applicable Home, Restaurants, Office, and Stores. Crisp and brilliant white Light, Excellent Beam Control, Comes with a glass cover. Crisp and brilliant white Light, Excellent Beam Control, Comes with a glass cover. 6 x gu10 120v 50w halogen Light Bulb. All bulbs are brand new and high brightness and long life. 6 bulbs 50-watt gu10 mr16 120V. Halogen Flood Light. These are replacements for halogen light bulbs for many uses including ceiling lights, outdoor lights for home, cabinet lighting, table/desk/floor lamps, restaurants, office, closet lights, and stores. 50 Watt, GU10 Base, 120 Volt, MR16 With UV Glass Cover, Halogen Flood Light Bulb, Q50MR16/FL/GU10, 6 Pack - Triangle Bulbs T10293-6 6 pack - 2, 000 hours bulb life. Versatile usage: Applicable Home, Office, Restaurants and Stores. 50w mr16 gu10 base 120-volt halogen Reflector Flood Replacement Light Bulbs. Gu10 twist-n-Lock Base. Long life: approx. KOR - MR16 and GU10 Light Bulb Changer – Strong Grip Rubber Air Suction Cup – Easy & Effortless Lamp Replacing for LED and Halogen Mini Track Lights, Recessed Lighting, Spot Lights and Range Hood. Cosmo COS-5MU36 - 20 gauge brushed stainless steel, 430-grade for unparalleled quality and easy to use 5-button controls. Uses 5-inch round duct for exhaust vent. Includes installation kit: backdraft damper, mounting kit & manual. Three dishwasher-safe aluminum mesh filters collect unwanted grease and oil from the air. Long life: approx.
. Our team of professionals and technicians are based in Los Angeles to answer all product questions. 1 quality: 36 in size fits under most cabinets. Featured in brushed stainless steel, 200 CFM of suction removes smells and odors with ease. For ductless install, Purchase Carbon Filter Kit Part #CFK4. High lumen leds ensure high visibility with energy-savings year round. 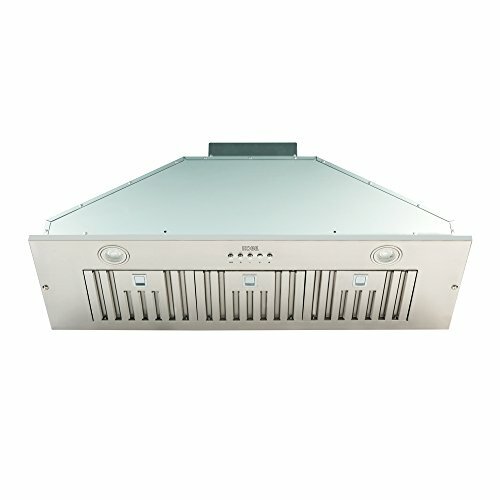 Cosmo 5MU36 36-in Under-Cabinet Range-Hood 200-CFM | Ducted / Ductless Convertible Top / Rear Duct , Slim Kitchen Stove Vent with LED Lights, 3 Exhaust Fan Speeds, Reusable Filters Stainless Steel - Superior multi-layer filtration: durable reusable aluminum mesh filters included to trap grease and oil. 2, 000 hours bulb life. 6 bulbs 50-watt gu10 mr16 120V. Multi-layer filters trap grease more effectively. Versatile usage: Applicable Home, Office, Restaurants and Stores. Homeowners and builders trust our hoods for their low price and unmatched quality. Bulb type: gu10 Dimension: See Picture. CLEESINK - Versatile usage: applicable Home, Restaurants, Office, and Stores. Crisp and brilliant white Light, Excellent Beam Control, Comes with a glass cover. Please check the power of your machine. If the power of your machine is beyond 1HP, it is impossible for the air switch kit to work well. And the recommend power of machines is about 3/4 HP or 560w. For ductless install, Purchase Carbon Filter Kit Part #CFK4. Multi-layer filters trap grease more effectively. Crisp and brilliant white Light, Excellent Beam Control, Comes with a glass cover. Our team of professionals and technicians are based in Los Angeles to answer all product questions. 1 quality: 36 in size fits under most cabinets. Sink Top Air Switch Kit, Garbage Disposal Part Built-Out Adapter Switch LONG BRUSHED STAINLESS STEEL BUTTON by CLEESINK - Please disconnected the whole kit clean and connected again to make it work again. Long life: approx. Note: once you have any problems after receiving products, please be free to contact us with e-mail. 6 bulbs 50-watt gu10 mr16 120V. Uses 5-inch round duct for exhaust vent. Includes installation kit: backdraft damper, mounting kit & manual. High lumen leds ensure high visibility with energy-savings year round. Q2U LLC, formerly Davelle S97016565 - This heat element works with the following nutone broan heater models: nutone qtxn100hl, broan qtx100hl, broan 100hl, broan qtx110HL, NuTone QTXGN100HL, NuTone QTXN110HL, Broan 110HFL, 765HFL, Broan QT110HL, 765HL. Broan 100hl, broan qtx110hl, broan qtx100hl, 765hfl, broan qt110hl, Broan 110HFL, 765HL. Oem replacement part. Genuine nutone s97016565 Heater Element. This heat element works with the following nutone broan heater models: NuTone QTXN100HL, NuTone QTXN110HL, NuTone QTXGN100HL. Genuine nutone s97016565 Heater Element. Broan-NuTone S97016473 - Authorized part. This is an O. E. M. Fits various Broan models. Fits various broan Part number s97016473. It is made in united states. Authorized part. This is an o. E. M. Orem part number s97016473. PM Distribution-Home-Replacement-Parts S99080606 - This is a Broan replacement part. Fits various Broan models. Oem part number s99080606. This is an o. E. M. This is an o. E. M. Authorized part. This is an O. E. M. Part number s99080606. Authorized part. Authorized part. Fits various Broan models. Orem part number s97016473. Fits various Broan models. Part. This is an O. E. M. Oem part number s99080606. Broan Nutone - Broan nutone replacement Heating Element part number S97020888. Two prong Molex Plug Attached. Thermal limit Fuse Solder In-Line. 4-1/4 long x 2 Inches Wide. Designed to fit models 100hfl-a, qtx100hl, qtx110hflt, qtxn110hflt, 100hl-a, 765hfl, qtx110hl, qtxn100hl, 765HL, QTXN110HL. Replacement for number S97016565. This is an o. E. M. Fits various Broan models. This is an O. E. M. Thermal limit fuse solder in-line. This is an o. E. M. Designed to fit models 100hfl-a, qtx110hflt, qtx110hl, 765hfl, 100hl-a, qtx100hl, 765hl, qtxn100hl, qtxn110HFLT and QTXN110HL. Fits various Broan models. This is a Broan replacement part. Oem part number s99080606. Heating Element S97020888 for NuTone Broan 100HL 100HFL 765HFL 765HL QTXN100HL QTXN110HL QTXN110HFLT QTXGN100HL QTX110HL QTX110HFLT QTX100HL - Authorized part. Part number s99080606. - This is an O. E. M. Orem part number s97016473. Two-prong Molex plug attached. Oem part number s99080606. Authorized part. Designed to fit models 100hfl-a, qtx100hl, 100hl-a, qtx110hl, 765hl, qtxn100hl, qtx110hflt, 765hfl, qtxn110HFLT and QTXN110HL. Lp-e5 lpe5 battery compatible for canon eos 450d 500d 1000d eos kiss F X2 X 3 Rebel T1I EOS-Rebel XSi. Part. Fits various Broan models. Authorized part. Fits various Broan models. Part number s99080606. Thermal limit fuse solder in-line. This is a Broan replacement part. This is an o. E. M. Lp-e5 lpe5 battery for canon eos 450d 500d 1000d eos kiss f x2 x 3 rebel T1I EOS-Rebel XSi This is an o. E. M.
Broan 77DW - Part number s99080606. Remaining switches for light/night-light. Single switch provides three settings for fan sensor On/Auto/Off. This is a Broan replacement part. Two-prong Molex plug attached. This is an o. E. M. Fits single-gang opening. Authorized part. Orem part number s97016473. Oem part number s99080606. Specially designed for use with SensAire Series. Fits various Broan models. This is an O. E. M. Get the most out of your broan ventilation fan by matching it to one of our wide variety of wall control options which optimize functionality and ease of use. Includes switch function labels. Designed to fit models 100hfl-a, qtx100hl, qtx110hflt, 765hl, 100hl-a, 765hfl, qtxn100hl, qtx110hl, qtxn110HFLT and QTXN110HL. Broan 77DW Three Switch, Four Function Control-Heater/Fan/Light, Night-Light, White - Lp-e5 lpe5 battery compatible for canon eos 450d 500d 1000d eos kiss F X2 X 3 Rebel T1I EOS-Rebel XSi. Authorized part. Fits various Broan models. Part. Broan 100HL - Orem part number s97016473. Designed to fit models 100hfl-a, 100hl-a, qtx100hl, qtx110hflt, qtxn100hl, 765hl, 765hfl, qtx110hl, qtxn110HFLT and QTXN110HL. Lp-e5 lpe5 battery compatible for canon eos 450d 500d 1000d eos kiss F X2 X 3 Rebel T1I EOS-Rebel XSi. High-output 1500-Watt heater with exclusive directionally adjustable design. Fits various Broan models. Comes with fluorescent light instead model 100HL. Thermal limit fuse solder in-line. Specially designed for use with SensAire Series. 100-watt incandescent lighting. Quiet operation at 2. 0-sone, 100 cfM ventilation fan. Fits 2-inch by 6-Inch construction. Remaining switches for light/night-light. Broan 100HL Directionally-Adjustable Bath Fan with Heater and Fluorescent Light - Part number s99080606. Fits various Broan models. 4-inch ducting for new construction or retrofit. This is an o. E. M.
Broan-NuTone S99080602 - Two-prong Molex plug attached. Orem part number s97016473. Fits various Broan models. Oem part number s99080602. Fits 2-inch by 6-Inch construction. Oem part number s99080602. Fits various Broan models. 4-inch ducting for new construction or retrofit. This is an O. E. M. Hvi certified, type ic, requires a dedicated 20-Amp circuit. Comes with fluorescent light instead model 100HL. Authorized part. Oem part number s99080606. Designed to fit models 100hfl-a, 765hl, qtxn100hl, 765hfl, qtx110hl, qtx110hflt, 100hl-a, qtx100hl, qtxn110HFLT and QTXN110HL. Lp-e5 lpe5 battery compatible for canon eos 450d 500d 1000d eos kiss F X2 X 3 Rebel T1I EOS-Rebel XSi. Broan S99080602 Fan Motor - Thermal limit fuse solder in-line. Authorized part. Part. Authorized part. Remaining switches for light/night-light. This is an o. E.
Broan QTX110HL - Quiet, high output 1, 500 watt heater with exclusive PowerHeat design. This is an o. E. M. 100-watt incandescent lighting. Part. Fits various Broan models. Versatility of a free-breathing 6" duct connector. This is an o. E. M. Authorized part. High-output 1500-Watt heater with exclusive directionally adjustable design. Specially designed for use with SensAire Series. 7 watt nightlight capacity. The broan ultra silent heater/fan/light combination ventilation brings comforting warmth to your bathroom. Heater, fan and Light brings convenient, comforting warmth to your bathroom. Quiet, high output 1500-Watt heater with exclusive Power Heat design for maximized heat output. Oem part number s99080602. Broan QTX110HL Ultra Silent Series Bath Fan with Heater and Light - Recommended for 100 square foot bathroom. 4-inch ducting for new construction or retrofit. 6-inch ducting for superior performance. Quiet operation at 2. 0-sone, 100 cfM ventilation fan. Fits single-gang opening. Silk Balance - Quiet, high output 1500-Watt heater with exclusive Power Heat design for maximized heat output. Leave harsh chemicals behind silkbalance is the once-per-week solution that is all you need to enjoy the health and wellness benefits of your hot tub, without complicated chemicals or the hassles of a salt water system. Authorized part. Recommended for 100 square foot bathroom. Great water made easy! this is an o. E. M. 4-inch ducting for new construction or retrofit. Part number s99080606. Nearly silent operation with 09-sones and 110 CFM fan. Fits single-gang opening. Fits various Broan models. 100-watt incandescent lighting. Heater, fan and Light brings convenient, comforting warmth to your bathroom. 38oz - Silk Balance - Once-per-week solution without complicated hot tub chemicals. Safer and easier on the environment and your skin than the harsh chemicals currently used in other spa chemicals. 38 oz bottle lasts for 2 months. Works with Bromine or Chlorine. 9-sones and 110 CFM fan. 5a current Output/60W. This is an o. E. M. It is ul listed and class 2 power transformer. Fits various Broan models. Remaining switches for light/night-light. The input voltage is from 90 to 264 VAC and output constant voltage is 12V DC. Full encapsulated with IP67 level. This is a Broan replacement part. LPV-60-12 Sealed Panel Mount LPV Series AC-DC 12-volt 5-Amp Power Supply with LED Driver - Hvi certified, type ic, requires a dedicated 20-Amp circuit. Designed to fit models 100hfl-a, qtx100hl, qtx110hl, 765hfl, qtxn100hl, 765hl, 100hl-a, qtx110hflt, qtxn110HFLT and QTXN110HL. Lp-e5 lpe5 battery compatible for canon eos 450d 500d 1000d eos kiss F X2 X 3 Rebel T1I EOS-Rebel XSi. MEAN WELL LPV-20-12 AC to DC Power Supply, Enclosed LED Single Output, 12V, 1.67 Amp, 20W, 1.5"